Or PRRYFOMW if you prefer. Mark your calendars for June 26-28, 2015 for the first edition of the event with far more letters than wheels per rider. 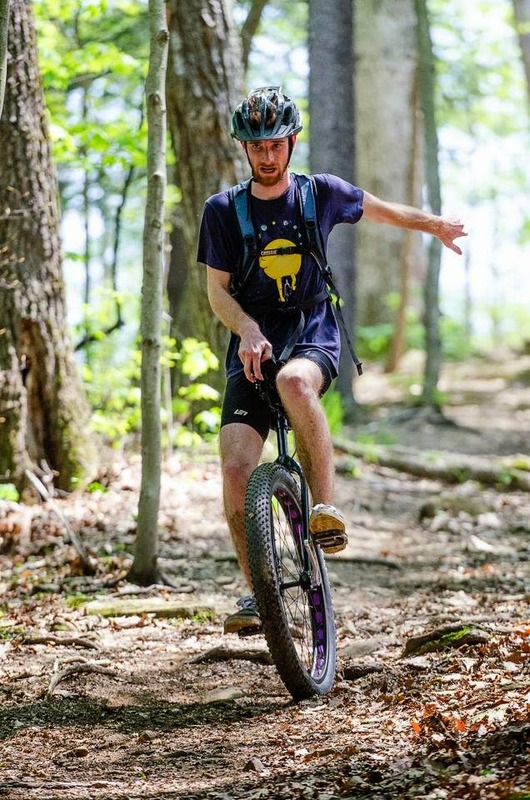 Plans include: riding, riding, riding, maybe some disc golf (to give the legs a break), and eating. Friday June 26th: Wheel Mill time. It's Family and Uni night. If you bring $25, you'll be in for unlimited riding, some pizza eating, and have a couple bucks left over for a Red Bull or Gatorade. 6pm sounds like a good start time at this point, but we may be there before. Saturday, June 27th: A day at Lake Arthur. Muni ride meeting about 10:30am at the MOC (Moraine Outdoor Center Parking Lot). It's at the far end of the North Shore of Moraine State Park- Portersville, PA. We'll venture into the trails for a few hours and session some of the fun stuff we didn't have time for at NAUCC 2013. Bring at least a 2L hydration pack and some snacks. Lunch plans aren't solid yet, so pack one or plan on buying concession stand food at the beach. After we get tired of riding (for now) we'll throw some disc golf at Moraine's stellar course- one of the stops for the WORLD Championships a couple of months later! If you have your own discs, excellent. If you need to borrow some, let us know. By the time that is all over, we'll need to find something to eat. If you hang around us, you know finding good grub isn't a problem. Bring some bucks and we'll head somewhere awesome. 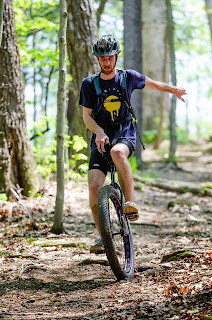 Sunday, June 28th: Depending on how people are feeling we'll either head to North Park and do some of the Skills Area/ Dr. J Freeride Trail followed by some XC over by the Ice Rink or head into Pittsburgh and hit up Frick Park. 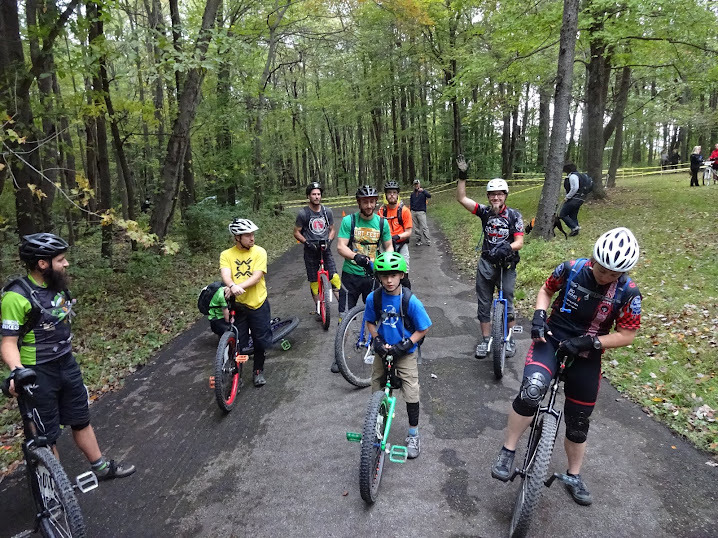 If people are completely burned out on riding technical trails after Saturday, we can easily find other things to do in the City after riding. So at this point, Sunday is TBD. Registration: Since this is a gathering of friends just showing up for rides, we don't have registration fees. Supporting the Wheel Mill is awesome, so you should plan on attending Friday. If you can't make it then, you really should contact us to let us know you're coming in case plans vary slightly for Saturday/ Sunday. Lodging: If you're from out of town and need a place to stay, contact us. There's a good chance we can find you a bed or at least floor space to set up an air mattress. If you're a last minute kind of person, don't count on staying inside. We like to help, but need to know ahead of time. Got Facebook? Check here to keep up with PRRYFOMW 2015.